Same HCME Digital Guide but half the price! Get your copy right now for 50% off the normal price only during this sale special! Now For The First Time You Can Get The Only Guide That Is Made Just For The Horsefield Tortoise with Care Secrets That Have Never Been Shared Before. Just Follow This Step-By-Step Easy, Simple & Proven System To Make Your Horsefield Tortoise The Happiest & Healthiest! There is certain criteria and environment to set up your pets environment in a way that replicates his natural surroundings so that your pet can live the optimum live and live to the the happiest, healthiest Russian/Horsefield he can possibly be. All the information you need (and none that you don't) compiled into a easy to read guide. This takes all the time consuming guess work out having a Horsefield/ Russian tortoise as a pet and just leaves you with all the fun stuff to enjoy! 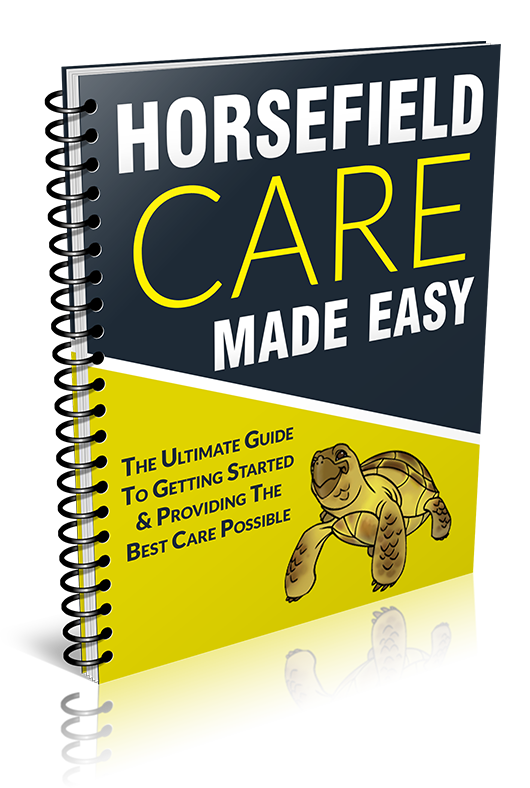 The Horsefield Care Made Easy digital guide is easily accessible in any format including laptop, desktop, tablet and phone. Most reference back to the guide any time they have a specific question! The guide only covers the Horsefield/ Russian tortoise because you have to know what this tortoise needs specifically in order to take the best care of him possible so that he can can live the happiest, healthiest, most energetic & longest life possible! I change completely the way how I care about my tortoise. I started few months ago, then I decided to buy your guide. And I can see a world of difference.. Yes I really love the book, it gives me an understanding of my tortoise. It's really good and tells you what you need to know.